Do keyboard shortcuts really save time as I’m starting an online business? How can they help me as I start making money online, or will they? If you’re new to internet marketing and surfing around online, this Tuesday Tutorial is for you. Before you read on, I recommend downloading Mozilla Firefox as your Internet Browser (the way you look for websites online). Firefox has many tools, it’s open-source, and it is what the majority of online marketing specialists and business owners use as they begin making money online. Here I’ve highlighted over “highlight over the text”. Step 3: What do you want to do? If you want to Cut (move the text to a different place on the page) hold down the CTRL key and push X. To Paste the text after cutting, hold down the CTRL key and push V.
If you want to Copy (duplicate the text and put it somewhere else) hold down the CTRL key and push C.
If you want to Bold the text, hold down the CTRL key and push B. If you want to Underline the text, hold down the CTRL key and push U. If you want to Italicize the text, hold down the CTRL key and push I. If you make a mistake and want to Undo what you’ve just done, hold down the CTRL key and push Z. If you want to Copy all the text in a document, hold down the CTRL key and push A. If you want to Save a document (word document, excel document, etc. ), hold down the CTRL key and push S.
The tab tool is a HUGE time saver, as you can open up multiple pages to do keyword research, find websites to do competitive analysis, and help you build links. My recommendation now is to practice these tips as you move forward in building your online business. 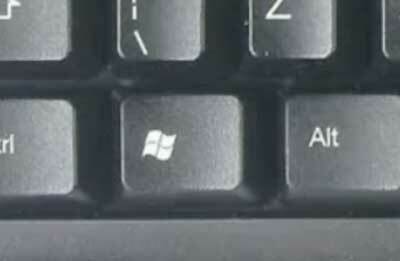 Below is a picture of the Windows Key. If other readers have shortcuts they’d like to share, comment away! I am a newbie and I have used my mouse for everything. Now, I’ve gained some “short cut” knowledge and will apply it. Excellent! There are many more shortcuts too but these are the ones I use most.